Over the last decade Visual Computing has established itself as a core discipline within computer science and information technology. Its research scope covers the design of computational and mathematical methods and interactive systems for geometric and physics-based modeling, image acquisition and synthesis, scientific visualization, as well as virtual reality. As a result, visual computing research is providing enabling technology for a broad spectrum of applications in all of CRS4 thematic areas. The Visual Computing Group has been founded in 1996, and has gradually become one of the leading Italian research programs in the domain. Research activities span many areas of computer graphics and computer vision, the primary focus being the study and development of scalable technology for acquiring, creating, distributing and exploring massive models, as well as for integrating them in real-time interactive visual simulations and virtual environments, both in local and distributed settings. Effective acquisition of color and shape of 3D models. We focus on techniques for effectively combining acquired colorimetric and geometric information using multiple sensors. In particular, we proposed advanced techniques for mapping photographic datasets to dens 3D models acquired with laser scanning, for acquiring 3D models in highly cluttered environments, and for capturing indoor scenes. Rendering and streaming of terrains and urban environments. We develop multi-resolution out-of-core techniques for rapid high-quality distribution and visualization of textured digital terrain models and high resolution urban environments. Processing, distribution, and rendering of massive dense 3D meshes and point clouds. We look at techniques for supporting inspection of surface models characterized by a high sample density, such as those generated by laser scanning. One of our results is the introduction of a coarse grained multiresolution model based on hierarchical volumetric decomposition, that lead to the first GPU bound high quality techniques for large scale meshes and point clouds. Processing, distribution, and rendering of huge complex 3D models. We focus on methods able to support very large arbitrary surface models with high topological genus, highly variable depth complexity, fine geometric detail, and non-conforming tessellations. Models of this kind arise from numerical simulation and computer aided design. One of our results is the introduction of volumetric methods based on multi-scale modeling of appearance rather than geometry with tight integration of visibility and LOD construction, that lead to the first solution for exploring massive CAD models and simulation results on commodity PCs. Massive volumetric compression and rendering. We focus on methods able to render models of potentially unlimited size on current GPU platforms. We introduced the first methods based on adaptive out-of-core multiresolution techniques with visibility feedback realized within a single-pass GPU raycasting framework, and introduced in this area novel compression techniques based on tensor decomposition and sparse coding. Fully interactive performance has been demonstrated on datasets of many GVoxels. Interactive visualization on remote, web, and mobile devices. With the widespread availability of mobile graphics terminal and WebGL-enabled browsers, 3D graphics over the Internet is thriving. Our research strives to overcome the limits imposed by network bandwidth, low-powered devices, and script-based Internet browser by introducing compact object and scene representations that support high-quality rendering. Interactive visualization on novel light field displays. We focus on developing efficient techniques for harnessing the power of novel 3D display design. We work with Holografika (Hungary), that develops a 3D display combining a specially arranged array of projectors and a holographic screen. By properly controlling image generation, rendered objects appear floating in space to multiple naked eye viewers. Sustaining interactive rates is a challenging tasks, since hundreds of views per frame have to be generated. We develop specialized user interfaces, calibration methods, and surface and volume rendering techniques for both single processor and network parallel rendering. Novel user interfaces for exploring 3D models. In the context of visualization of massive and complex scenes, users require interactive control to effectively explore the data. Our research focuses on natural interfaces for scene navigation and data exploration, exploiting the capabilities of input and output devices. In this area, we have introduced methods for constrained navigation using graphs, exploration tools for volumetric data, specialized techniques for camera control on touch screens, and user-interface techniques using dual-display setups. Real-time surgical simulation with visual and haptic feedback. We develop enabling technology to support surgical training through simulation. 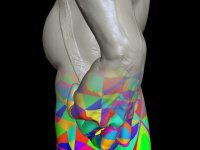 Our results so far include a multiresolution volumetric model for simulating bone burring, simplified models for contrast agent transport in human vessels, real-time techniques for phacoemulsification simulation. Some of our simulation and rendering modules have been integrated in industrial systems for surgical training. Cultural heritage exploration: our large-scale projection-based interactive system for exploring 3D cultural heritage objects is the basis for permanent exhibitions on Mont'e Prama statues at the National Archaeological Museum in Cagliari, Italy and at the Civic Museum in Cabras, Italy. Tens of thousands of visitors have had the opportunity to play with the system. Massive point cloud library: our tools for geometry processing, streaming, and rendering library for massive point clouds are incorporated in the systems commercialized by Gexcel. 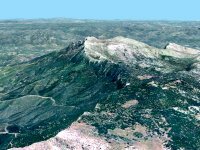 SAR3D/RER3D framework: we developed an interactive multilayer internet geoviewing system based on our technology for compression, distribution, and rendering of textured terrain data. The system is used by regional governments (Sardinia, Emilia Romagna) for presenting geographical information. 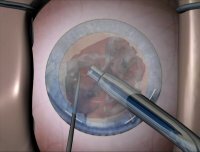 Cataract surgery simulator: We developed a real-time virtual reality simulator of cataract surgery. The system has been used for surgical training courses by DIES group. Discontinuous Finite Element Visualization: Our techniques for interactive scientific visualization of Discontinuous Finite Element Visualization have been Incorporated in a software used at ENEL for analyzing CFD simulations. Check our projects, publications, and multimedia pages for more information on our activities. Right now, it's only a notion. But I think I can get money to make it into a concept. And later turn it into an idea. Woody Allen, Annie Hall, 1977.